Salt Lake City, WPH Press, 4/23/17- Finals Sunday in Salt Lake City presented the best of the best on the Race 4 Eight and WPH Outdoor tours competing under the bright ESPH lights. 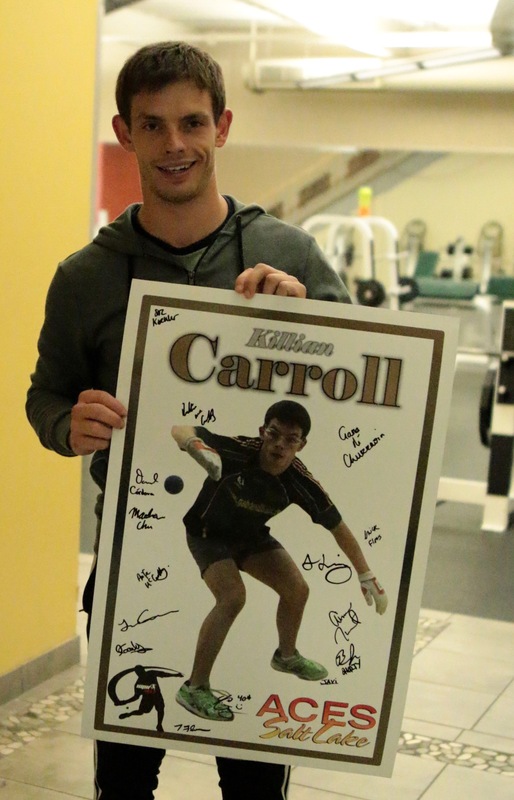 Killian Carroll entered Salt Lake City’s Aces R48 Player’s Championship seeking to become the first two-time R48 Men’s Pro Player’s Champion, while Luis Cordova advanced to his first R48 final in his 32-stop R48 career. Carroll did not start the match like the player appearing in his fourth consecutive R48 final, making six unforced errors in the first nine points of the match. Carroll trailed 8-0 before righting the ship, ultimately pulling within one at 11-12. 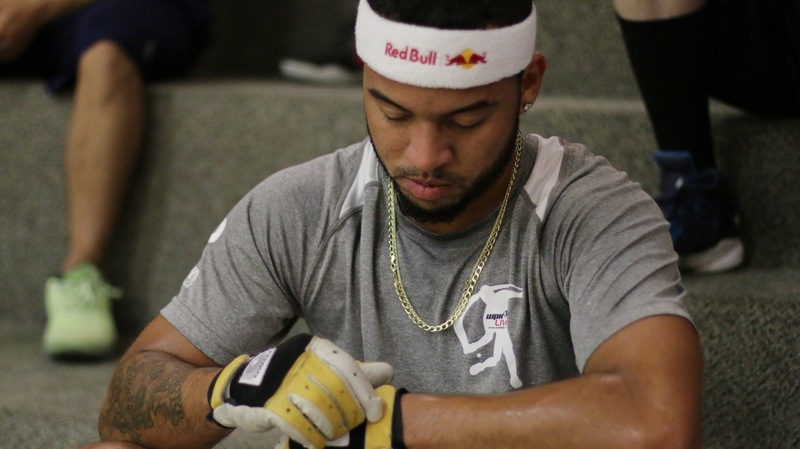 Cordova was unfazed and continued to apply the same type of pressure that saw him defeat two R48 #1’s on Saturday, closing out the first game emphatically with three straight kills. 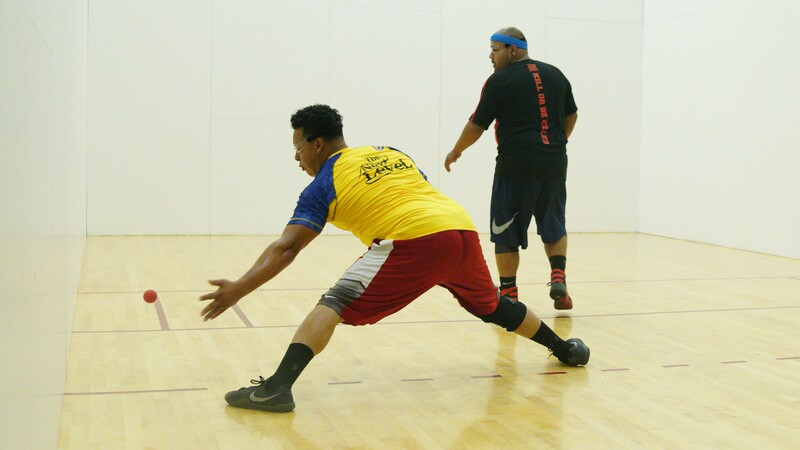 Carroll pounced on Cordova in game two, only allowing the Atlanta transplant three serves in a 15-0 thrashing. Cordova appeared to find his second wind and momentum in the third game, racing to a 6-2 lead and seemingly playing the type of ball that saw him take game one. An unforced error on a Cordova right corner kill attempt handed Carroll the serve and Killian never looked back, scoring the final 13 points of the match to clinch his second consecutive R48 Player’s Championship. 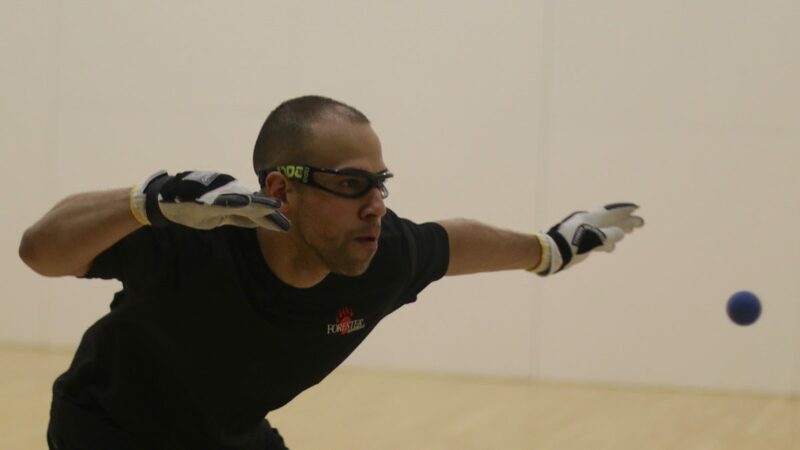 David Fink bounced back from his semifinal loss to Luis Cordova by defeating Sean Lenning for third place, Robbie McCarthy defeated Luis Moreno for fifth place, and Daniel Cordova ousted Vic Perez to clinch ninth. 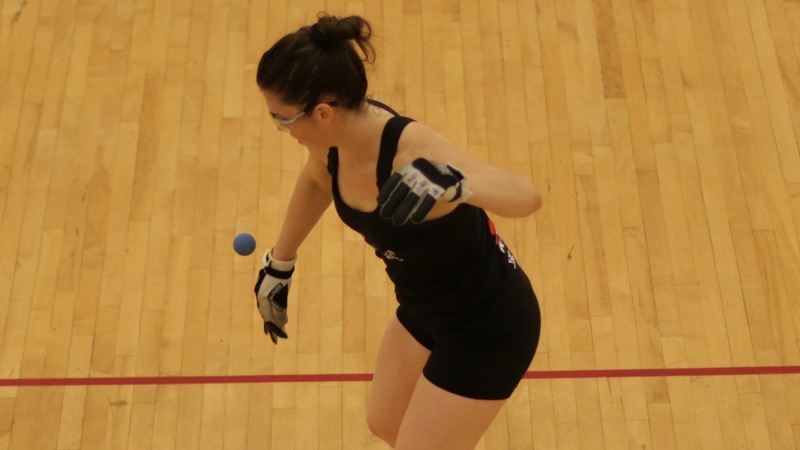 Catriona Casey entered the 2017 WR48 Player’s Championship having won the first three WR48 Player’s Championships, while Martina McMahon was appearing in her first WR48 Player’s Championship final. Casey was in control from the outset, dominating the front court against a flu-ridden McMahon. 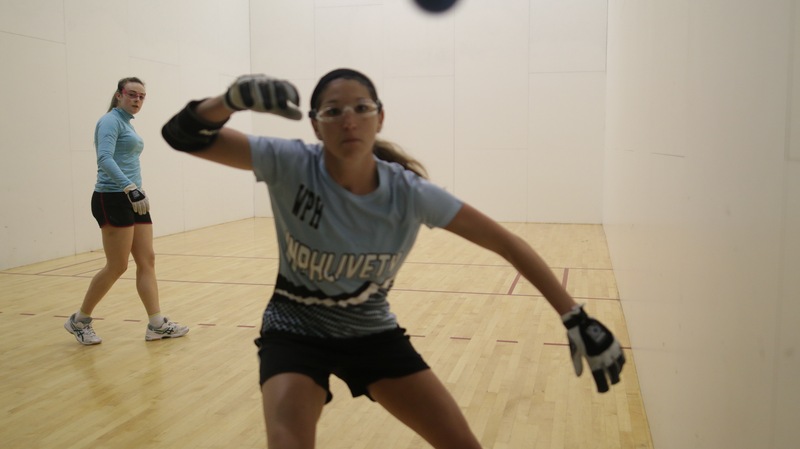 With Casey lead 15-4, 4-1, McMahon was forced to retire with symptoms of her Salt Lake flu. 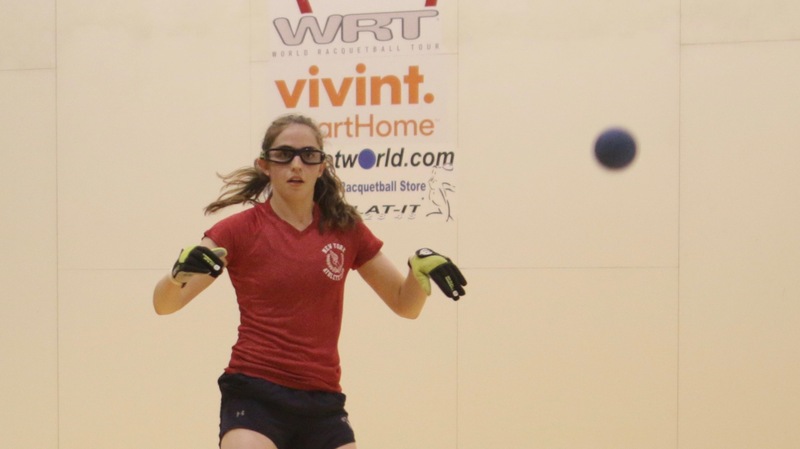 “I just love playing in these events and to be able to travel across the U.S. and play handball is just wonderful,” stated Casey. Ciana Ni Churraoin and Aimee Ulbert met for the second consecutive event in the third place final. 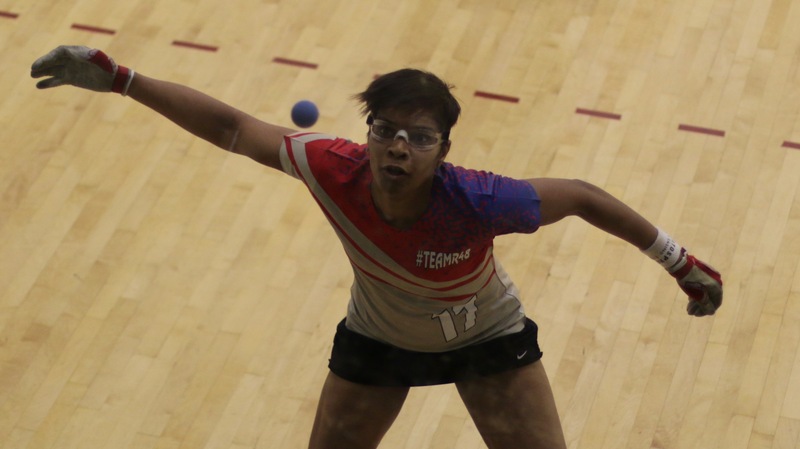 Ulbert built a sizeable lead in the first half of the one game to 25 point final but was unable to sustain her advantage. Ulbert failed to score in the second half, as CNC claimed third for the second consecutive WR48 stop. Chavez started to feel more comfortable after his slow start, hitting three overhand flop kills en route to a 15-7 halftime lead. 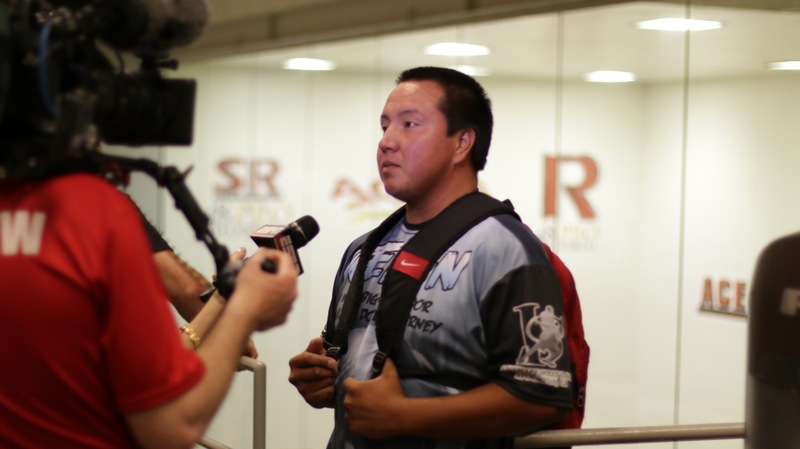 Watkins broke Chavez’s seven-point streak with three quick points after halftime, but Chavez shifted gears, dominating the rest of the match to clinch his third SR48 Player’s Championship. 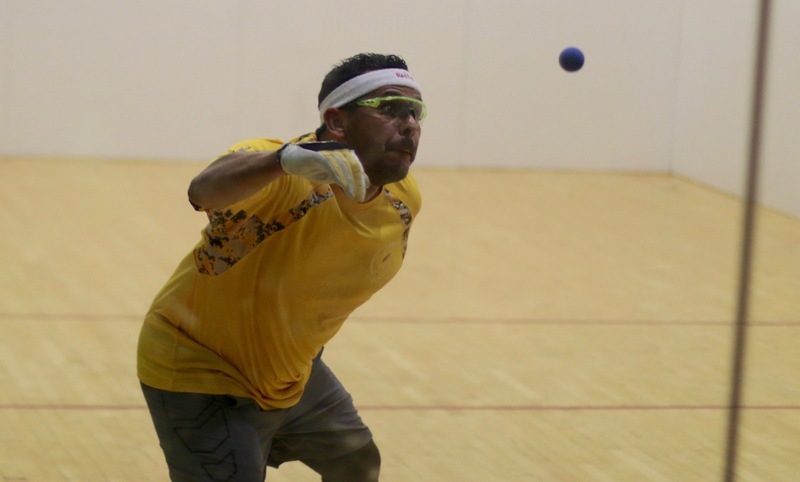 WPH Outdoor #1 and 13-time WPH Outdoor singles champion Samzon Hernandez was seeking his second WPH Outdoor singles title of the season, while his Southern California rival Alfredo Morales was making his first WPH Outdoor start of the season. “El Hombre” was completely dominant in taking apart Hernandez, reading “The Machine’s” shots and seemingly having an answer for every shot Hernandez hit. 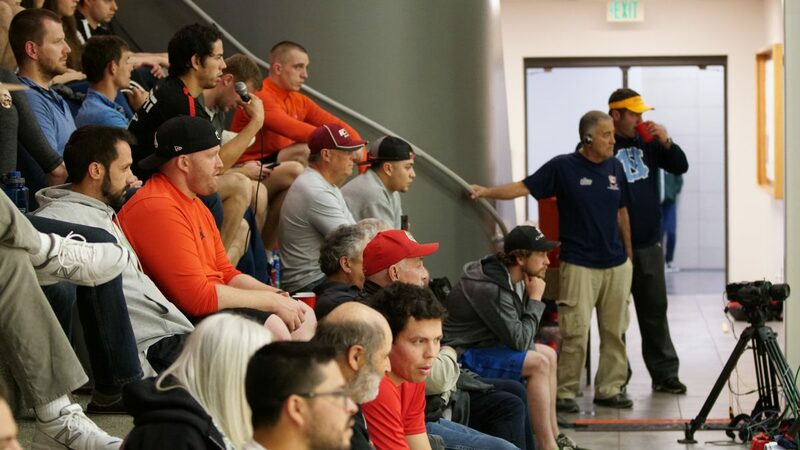 Morales picked up the Salt Lake City title and the yellow jersey in dominant fashion, announcing himself at Hernandez’s greatest threat for the remainder of this season. Thank you to the entire Aces crew for their tireless efforts in hosting their sixth Race 4 Eight event and third Player’s Championship. Thank you to Lon Stalsberg, Matt, Stalsberg, Ruben Garza, and Gary Scoggins. Thank you to the WPH staff and film crew for an outstanding season on ESPN3. 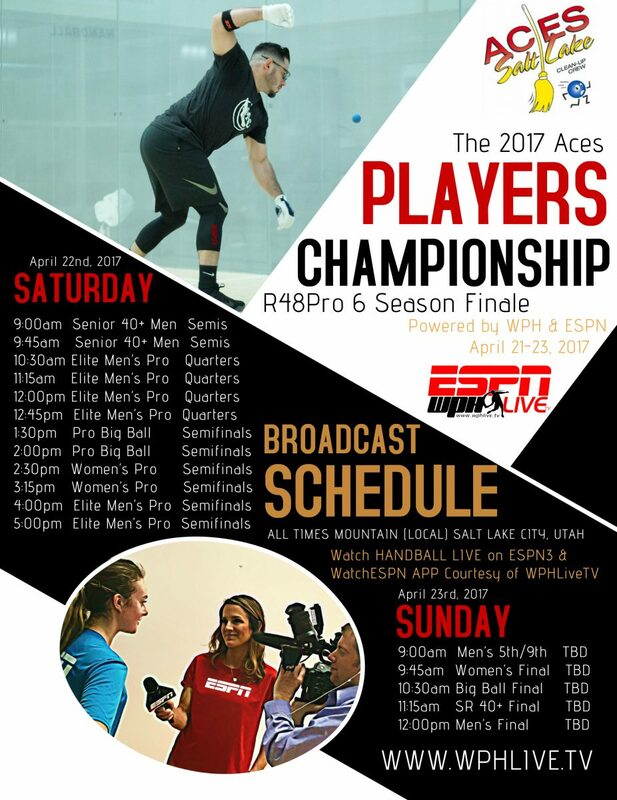 Salt Lake City, WPH Press, 4/22/17- Super Saturday in Salt Lake City was an action-packed day of handball, with Race 4 Eight and WPH Outdoor stars battling for coveted spots in Sunday’s prestigious finals. With valuable ranking points and the WPH’s most coveted prize on the line, the action was riveting. R48 #1 David Fink clashed with SR48 #1 Marcos Chavez in the opening quarterfinal match on Saturday morning. At a combined 82 years, Fink and Chavez represented the oldest quarterfinal in R48 history. Despite six years on the R48 tour for both veterans, Fink and Chavez had met just twice, with the pair splitting their first two encounters. 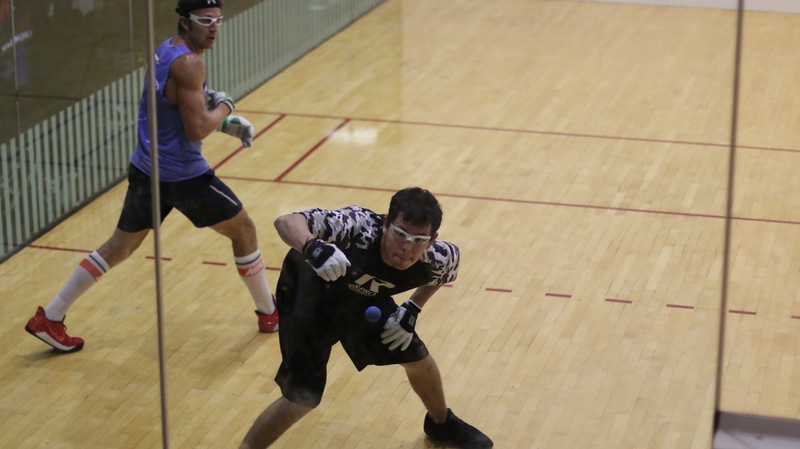 Fink and Chavez traded kills and unfriendly barbs throughout a contentious first game, with the two bickering between points and during timeouts. Fink took a seemingly commanding lead at 12-8, but Chavez tied the score at 13. Fink served at 13 four times but was unable to score, and a lob serve crack ace by Chavez and a back wall kill gave Chavez the first game. Fink began to find his range in game two, building a 13-2 lead, exchanging a hug with Chavez at 13-4 and forcing a third game. Fink built a 13-2 lead for the second straight game and held off a late Chavez rally to advance to his fifth semifinal of the season. 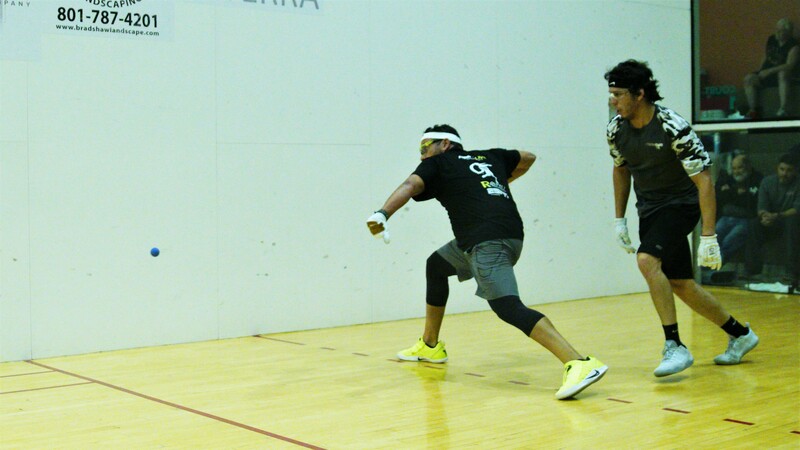 R48 #1 Luis Moreno faced a Luis Cordova in the second R48 semifinal of the day. Moreno held a 4-1 R48 head-to-head record against Cordova entering the quarterfinal, but Cordova had proven to be a tough out for Moreno in recent match-ups. Moreno built a 6-0 lead in the first game, only to see Cordova score nine straight points to take the lead. Moreno seemed to regain his form, taking an 11-10 lead, only to watch helplessly as Cordova scored the final five points of the game. 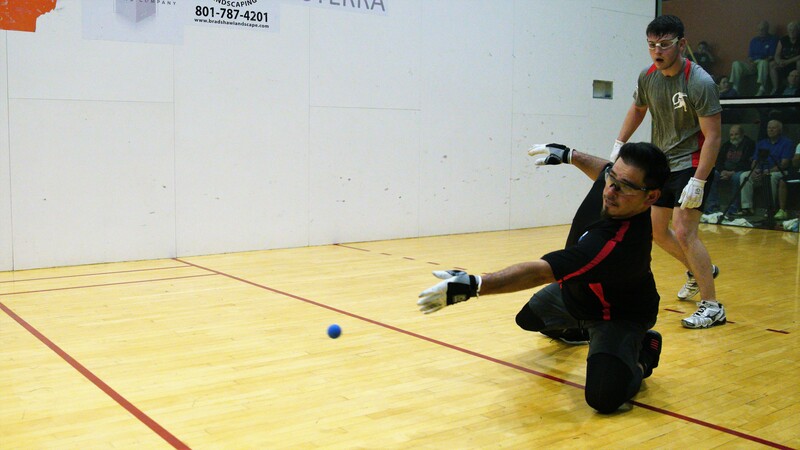 Cordova continued to apply pressure in game two with incredible retrieves and blistering pass shots down the wall. When the dust settled, Cordova scored 30 of the final 36 points of the match to stun the R48 #1 and advance to his third R48 semifinal of the season. 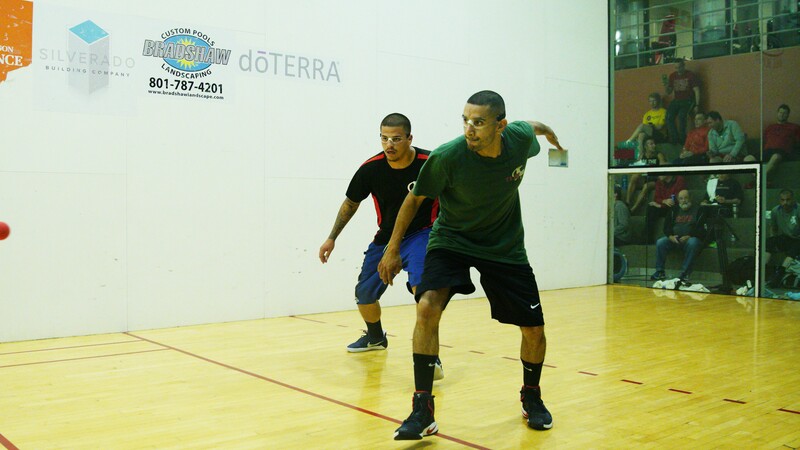 Mando Ortiz and Sean Lenning met for the first time since last year’s Player’s Championship semifinal in Portland, with Lenning upending Ortiz in a thrilling three-game shootout in the Pacific Northwest en route to the 2016 Player’s Championship final. Lenning entered the quarterfinal having won five of seven matches against the pride of Norwalk, CA. Lenning directed traffic in the eighth match-up between the two R48 superstars, keeping Ortiz off-balance with ace serves to the left and right. Lenning appeared to be more comfortable using his left, swinging freely from the deep court and burying setups with his right to cruise to the semifinal. 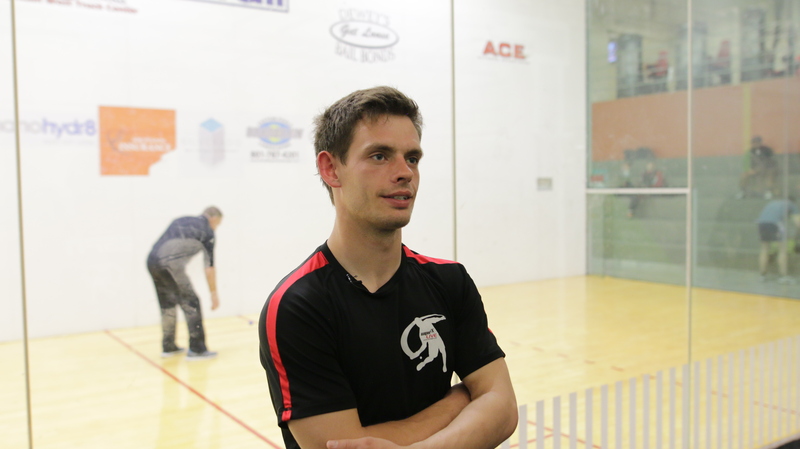 R48 #1 and two-time R48 champion Killian Carroll faced Irish compatriot and three-time R48 champion Robbie McCarthy in a blockbuster quarterfinal clash, the first match-up between the two in R48 play. Carroll bested McCarthy in two games in their last encounter in January’s GAA Gaffney Memorial. What promised to be a close battle between the two Irishman was anything but, as Carroll took it to McCarthy from the opening bell with serves that double-bounced before the back wall for aces, front court kills, deep court kills, and blazing speed to keep rallies alive. Carroll would not be denied, besting McCarthy in two lopsided games. David Fink and Luis Cordova met for the second time this season in the semifinals, with Fink winning the first in Minnesota. The first game featured seven lead changes, with Fink leading 9-6, Cordova leading 12-10, and ultimately serving for the game at 14-12. Fink forced an error and rattled off three straight points to serve for the game at 15-14. A hand error with his left cost Fink a chance at the first game, and three points later Cordova took a one-game lead. Cordova raced to an 8-0 second-game lead on the heels of brilliant play, but Fink rallied to close the gap to one at 7-8. Cordova caught fire, scoring seven of the final eight points of the match to book his ticket to his first R48 final. Despite suffering from a terrible flu, Martina McMahon dominated the “A” group. Seen covered in blankets in between matches in a facility that was close to 80 degrees, McMahon playing efficiently and effectively in Saturday’s matches. 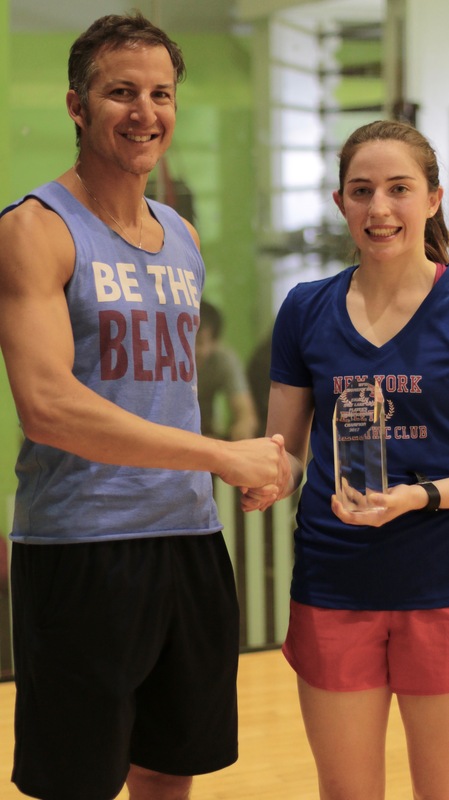 With both she and Ciana Ni Churraoin undefeated going into their final round robin match against one another, McMahon was too strong for CNC, rolling out virtually every setup and keeping CNC buried in the back court to win the bracket and advance to the final on Sunday morning. 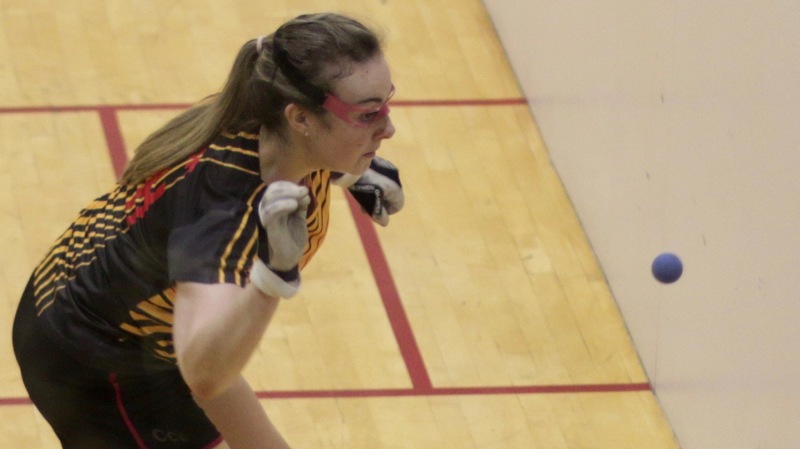 Catriona Casey was flawless in the “AA” bracket, allowing her opponents to score just 18 points in five matches. 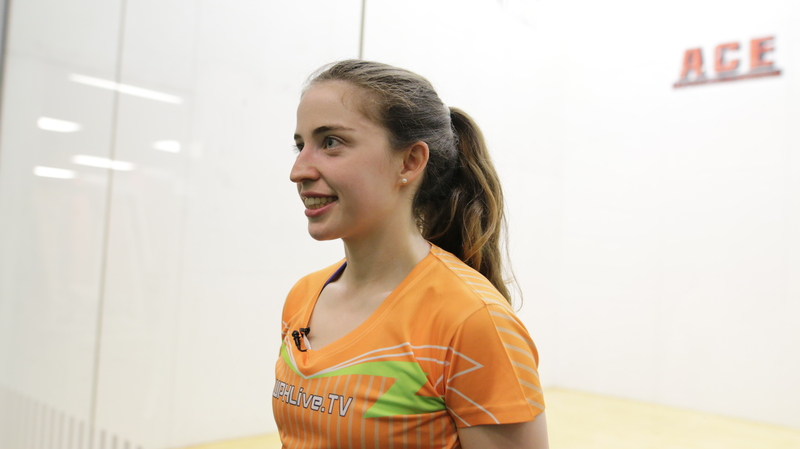 Casey completed her round robin play with a comprehensive two-game victory against the WR48 Rookie of the Year Aimee Ulbert. 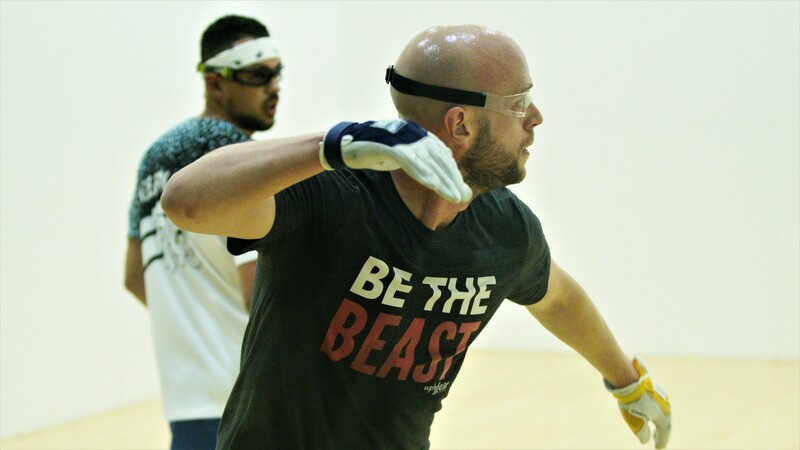 With both Casey and Ulbert undefeated heading into their final round match, Casey cruised in two games to advance to Sunday’s final. Marcos Chavez had little difficulty in defeating local favorite Sonny Roberts, advancing to his third SR48 final of the season. 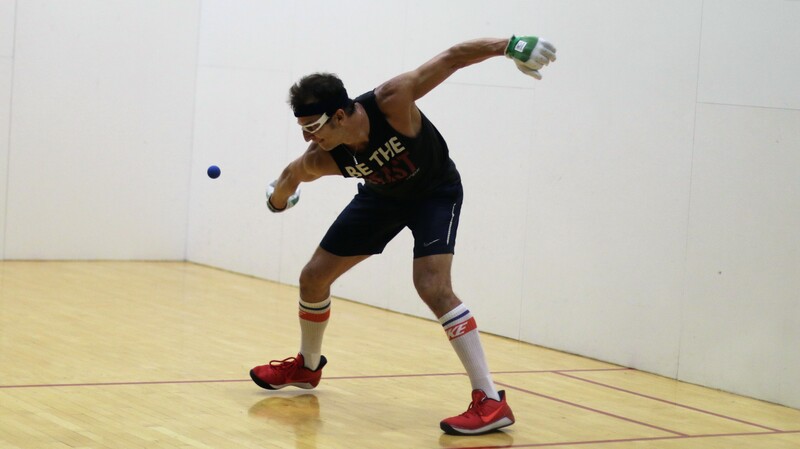 Dan Armijo appeared to be destined for his first SR48 final of the season, leading Chris Watkins 22-7 in the one-game match to 25. Watkins started to chip away at The Hand’s lead, serving 10 aces and finding the bottom board during rallies to tie the match at 23. Watkins completed one of the most improbable comebacks in the history of Race 4 Eight play, stunning Armijo en route to his first SR48 final. Samzon Hernandez was in search of revenge against Manny Suarez from their match at the Iceman in January, as Hernandez held match point and lost against the Pride of Long Beach. Hernandez and Suarez split two close games to setup a third game decider. Hernandez flipped the switch in the third game, crushing Suarez and advancing to his third straight WPH Outdoor singles final of the season. Silky smooth Alfredo Morales and WPH cross over star Shorty Ruiz also split two close games in the second WPH Outdoor semifinal, and just as in the first semifinal, Fredo took control in the third, building a big lead and advancing to his first WPH Outdoor 4-Wall Big Ball final. 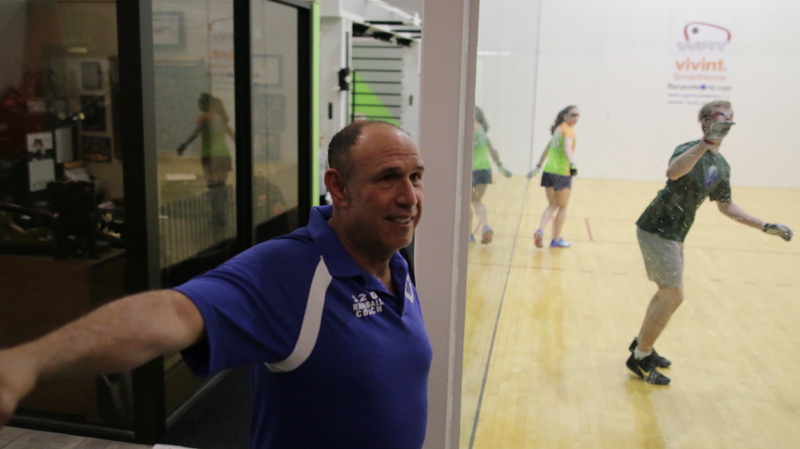 Salt Lake City, WPH Press, 4/21/17- The 2017 WPH Race 4 Eight Salt Lake City Aces Player’s Championship kicked off with a sensational JR WPH Pro/Junior Aces Doubles event followed by an instructional clinic with living legend Fred Lewis on Thursday night. 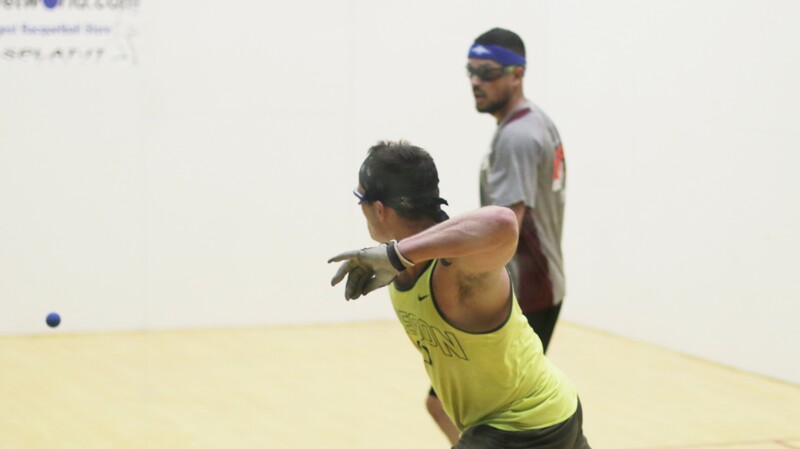 Friday featured nearly all of handball’s greatest stars in action at the 2017 Player’s Championship, with the R48 Qualifier, R48 Men’s Pro round of 16, the start of the WR48 round robin, and the SR48 first and second rounds, and the start of the WPH Outdoor 6 Stop #3. 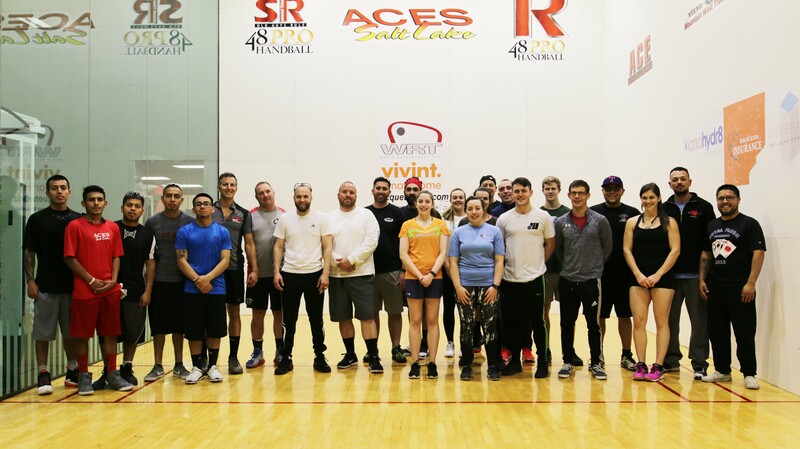 JR WPH Salt Lake City Doubles and Clinic: JR WPH proudly hosted the Salt Lake City Pro/Junior Doubles and Instructional Clinic on the opening night of the 2017 WPH Race 4 Eight Salt Lake City Aces Player’s Championship 6. 10 WPH R48 and WR48 pros teamed with 10 JR WPH Salt Lake City Aces junior stars and newcomers in a special Pro/Junior Aces Doubles Shootout. 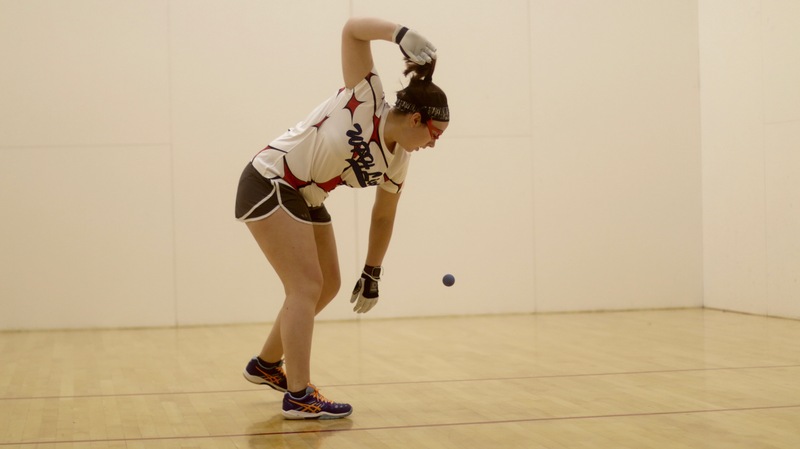 Salt Lake City juniors and new players had the opportunity to team with and play against WR48 #1 Catriona Casey, R48 #1 Killian Carroll, 2016 Simple Green U.S. Open Champion Robbie McCarthy, WR48 #2 Martina McMahon, WR48 #3 Aoife McCarthy, R48 top 16 pro Abraham Montijo, Hall of Fame legend Fred Lewis, Hilary Rushe, Michael Gaulton, and Gabhain McCrystal! What an experience! 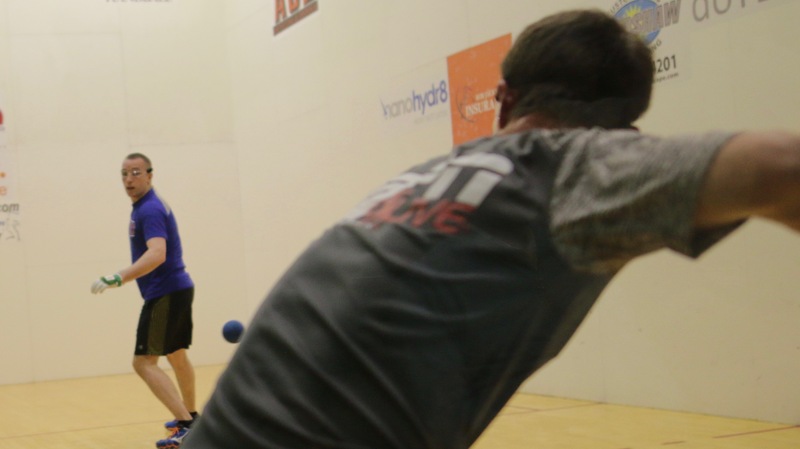 Unlike traditional Race 4 Eight events that feature a blind draw, Salt Lake City placed qualifiers into the draw based on the current R48 6 Power Rankings, meaning each player earned their spot in the main draw based on their performance throughout the first six stops on the R48 6 tour. 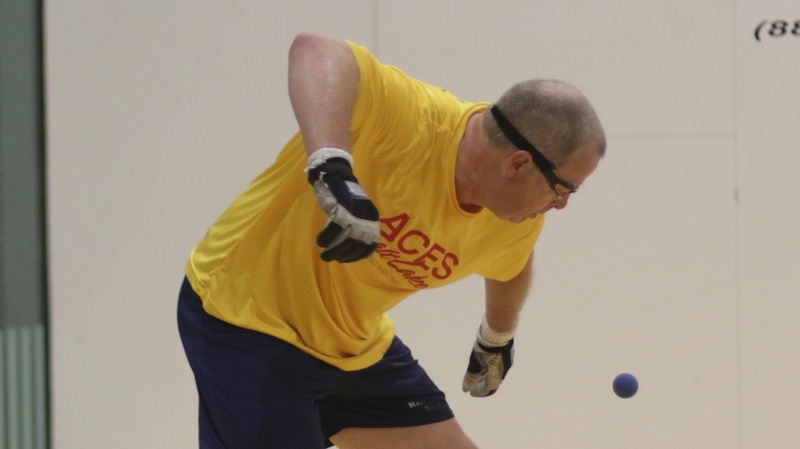 The Salt Lake City Aces qualifier finals produced a number of sensational matches. Ireland’s Gavin McCrystal qualified for the first time on the R48 tour, building a 24-16 lead on Adam Bernhard and fighting off a determined “Bernie” to close out the match, 25-22. Abraham Montijo faced a stern test against Oregon’s Brandon Townsend, battling to a 15-14 halftime lead after 35 minutes of play. Montijo dominated the second half, cruising to the round of 16. 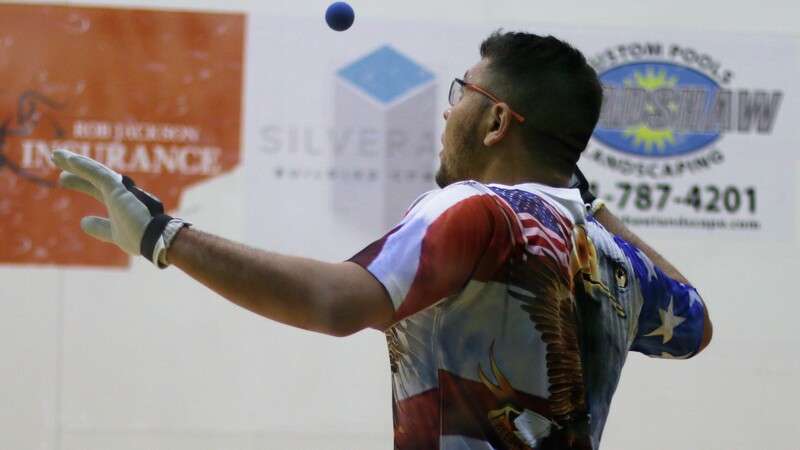 Ryan Bowler exacted revenge against his Houston vanquisher Loren Collado, defeating the Northern Californian in the longest match of the qualifier. Shorty Ruiz defeated Memo Pallares for the second time this season, falling behind 4-0 and taking control midway through the match to cruise into the round of 16. 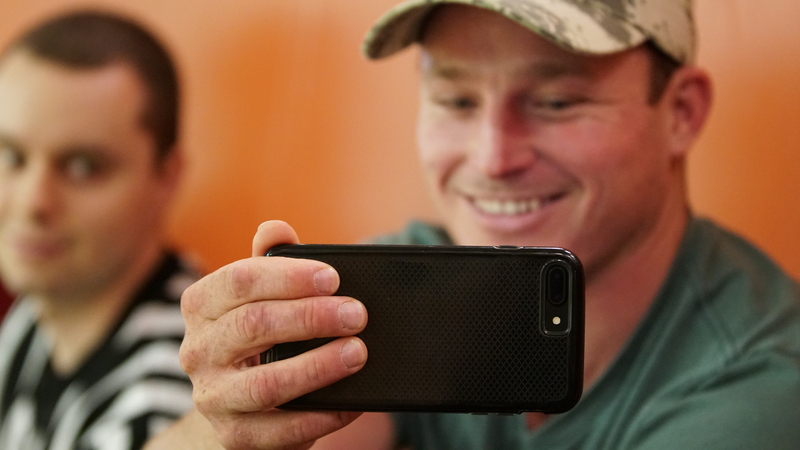 Dalton Beall advanced to the round of 16 for the second time this season, overwhelming the current 17-and-under national champion Michael Gaulton. Top seeds Robbie McCarthy, Marcos Chavez, and Jon Iglesias all advanced to the round of 16 with little difficultly. The 2017 R48 Men’s Pro Player’s Championship field is as wide open as its ever been, with three R48 stars tied for the #1 ranking and just 16 R48 ranking points separating #1 and #8, the smallest gap in Race 4 Eight history. The R48 co-#1’s dominated their round of 16 opponents, as Killian Carroll, David Fink, and Luis Moreno combined to outscore there opening round opponents 90-17. 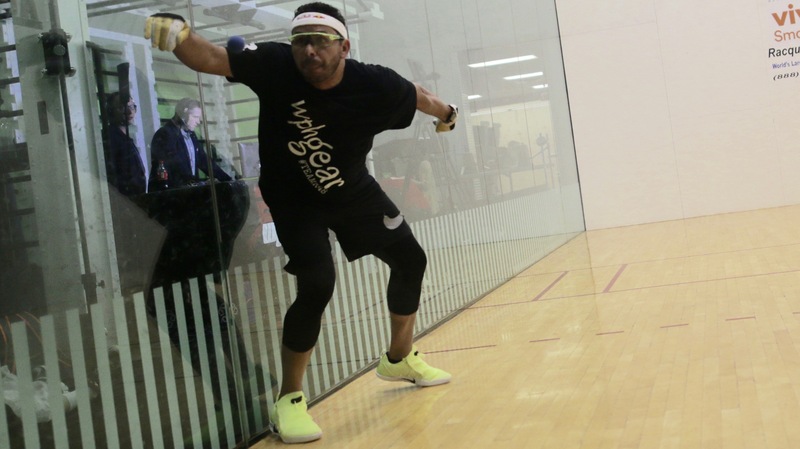 Fourth-seeded Mando Ortiz started quickly in his first event since early March, defeating first-time qualifier Gavin McCrystal 15-1 in the opening game. 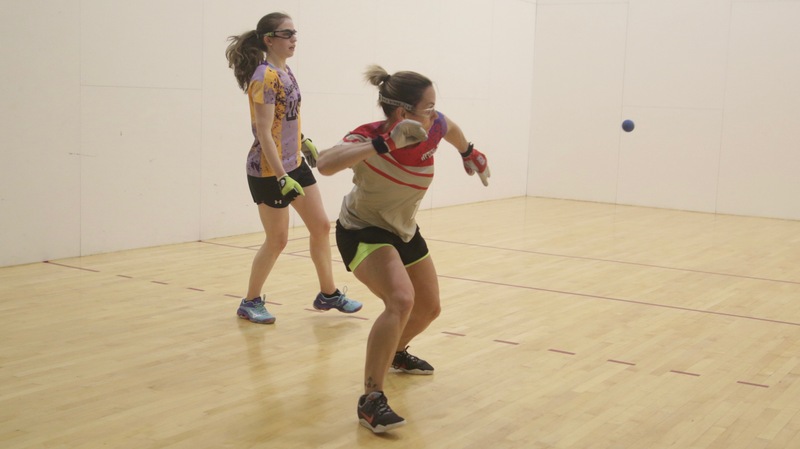 McCrystal turned the tables in game two, forcing a tiebreaker by the same score. Ortiz regained the form that saw him become the R48 #1 just five months ago, building an 8-0 third game lead and cruising to the round of 8. 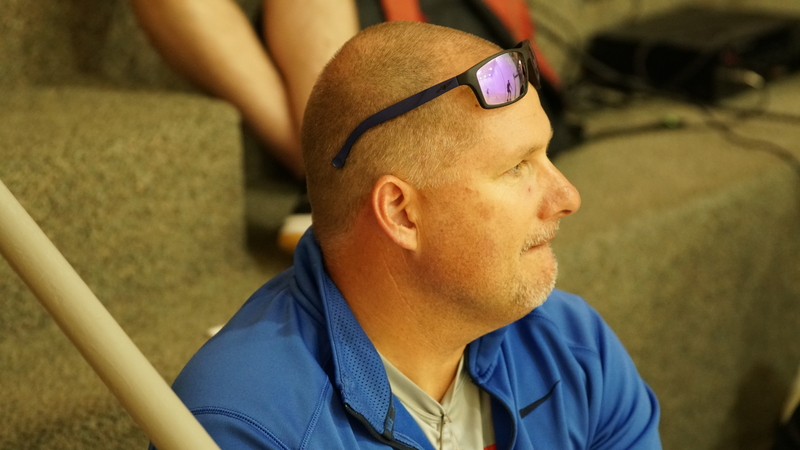 Fifth-seeded Sean Lenning had little difficulty in defeating good friend Abraham Montijo, using his injured left shoulder to push Montijo into the back corners and winning rallies with his trademark right-handed kill. Sixth-seeded Luis Cordova continued his mastery against Jon Iglesias, turning last year’s Salt Lake City semifinalist away in two games. 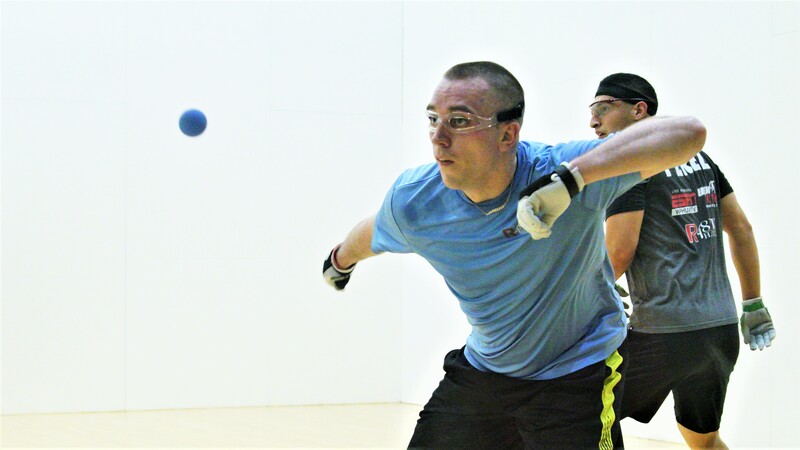 Robbie McCarthy looked like a man on a mission after a disappointing ninth place finish three weeks ago in New York, trouncing eighth-seeded Vic Perez in two games. 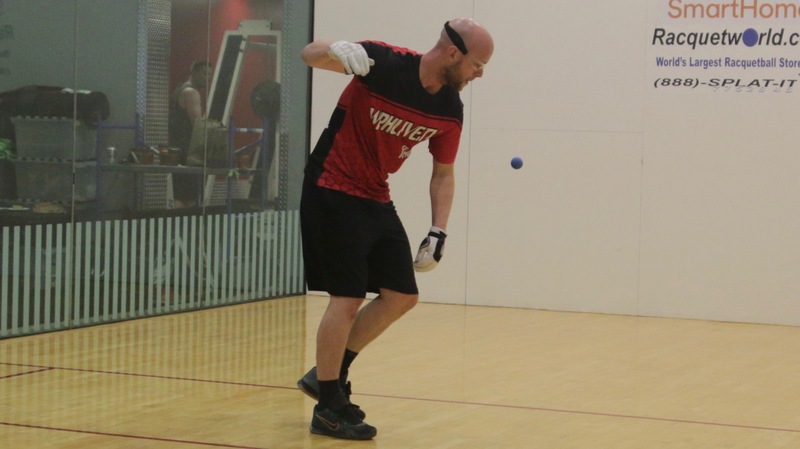 The WR48 ’17 Player’s Championship features two round robin groups of six WR48 superstars in each group, with the winners from each group playing for the championship on Sunday morning in Salt Lake City. The exciting format will ensure that all of the ladies play at least five matches, with many of the top stars assured of playing one another for the first time. 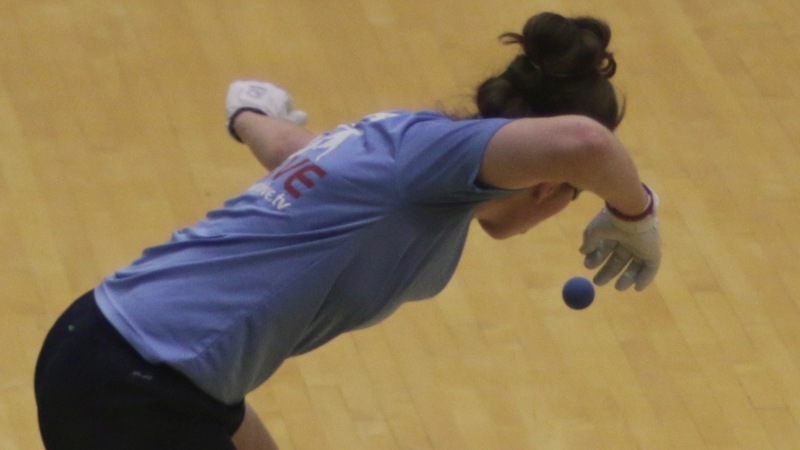 Catriona Casey entered her fourth WR48 Player’s Championship as the three-time defending champion and was sharp on her first day of play, outscoring her two opponents by a combined score of 42-2 in the “AA” group. 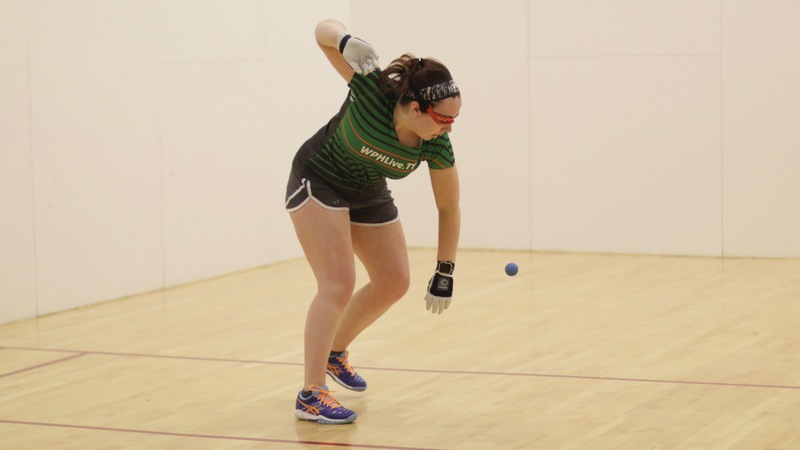 Aimee Ulbert also won her first two matches in the “AA” group, defeating Amy Gross in her first match and taking down WR48 #3 Aoife McCarthy for the second time in three weeks in her second match. McCarthy salvaged her first day with a spirited win against former WR48 #2 Jessica Gawley in the “AA” group. Martina McMahon was flawless in her first two matches in the “A” group, outscoring her two opponents 42-4. 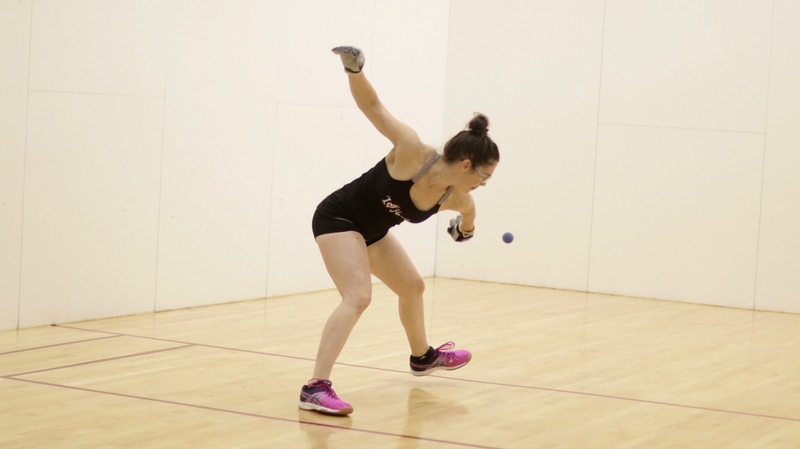 Ciana Ni Churraoin was not as dominant as McMahon, but won both of her Friday matches nonetheless, defeating Hilary Rushe and Tracy Davis in exciting battles. Davis bounced back from her competitive loss to CNC by defeating “The Boss” Suz Koehler for the third time in five weeks. 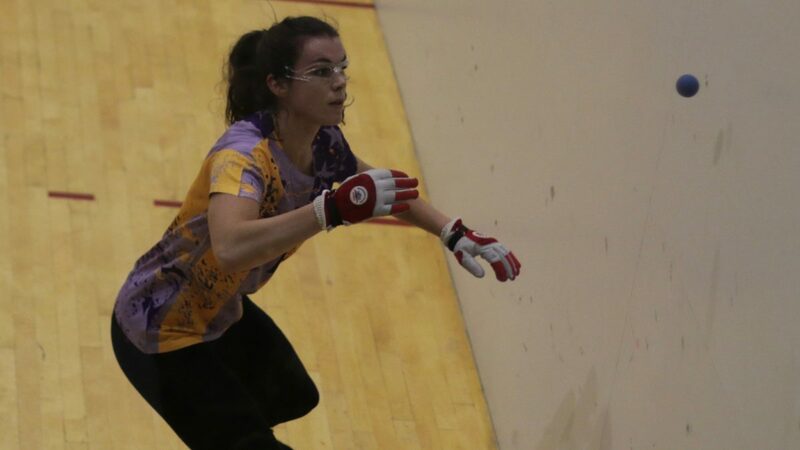 Women’s round robin action continues tomorrow, with all 12 WR48 stars playing three matches on their march to Sunday’s final. 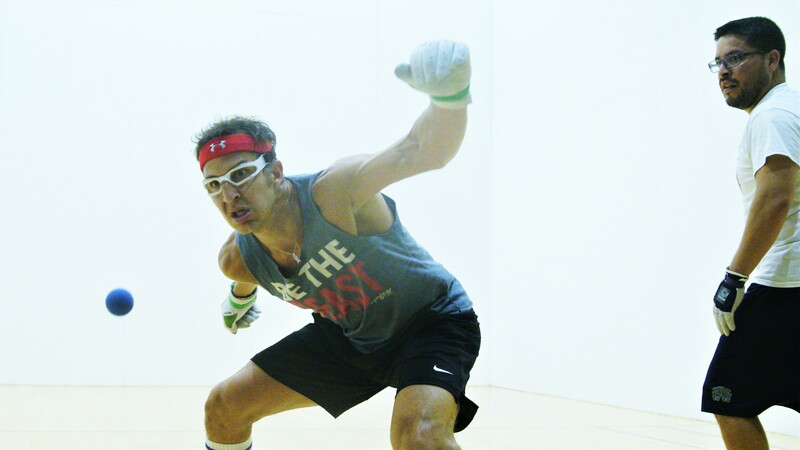 Marcos Chavez entered Salt Lake City aiming to put the finishing touches on the first undefeated season in SR48 history, having won the first two stops of the season at the Simple Green U.S. Open and Minnesota. Chavez welcomed several of his pro tour rivals of 20 years to the draw, as 30-year pro Dan Armijo and USHA Hall of Famer John Bike headline the field alongside Chavez. 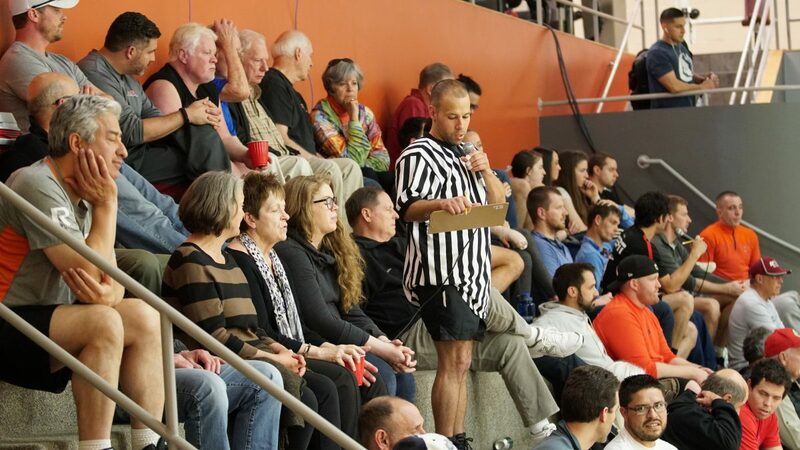 Top –seeded Chavez continued to dominate the senior circuit on Friday, overwhelming Connecticut’s Tom Marzilli en route to Saturday morning’s semifinal. 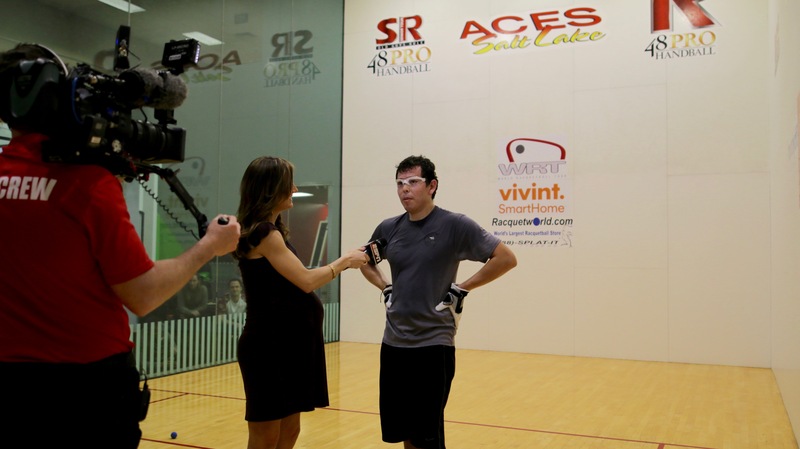 Utah’s Sonny Roberts defeated John Bike to advance to his first SR48 semifinal. In the bottom bracket, Chris Watkins had little difficulty with Ireland’s Pat Murphy en route to the semifinals, while Dan Armijo overcame New York’s Jared Vale. Salt Lake City played host the third stop on the 2017 WPH Outdoor 6 and second WPH Outdoor stop in Salt Lake City (2016). Current WPH Outdoor #1 and 13-time WPH Outdoor singles champion Samzon Hernandez headlined Salt Lake City’s WPH Outdoor field, being joined by s star-studded group of WPH Outdoor veterans and newcomers. 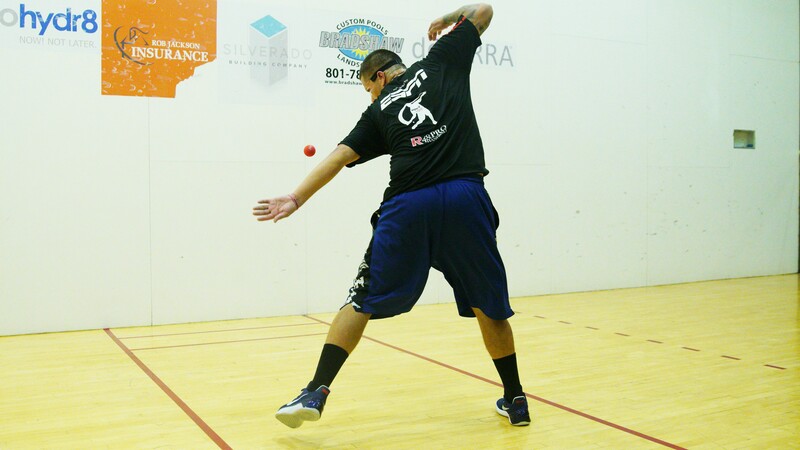 In the bottom bracket, cross over star Shorty Ruiz overcame a slow start to defeat the almost 40 Mauro Rojas, dropping game one and dominating the next two games. Alfredo Morales and Timbo Gonzalez played the match of the WPH Outdoor event this far, with Morales methodically pushing Gonzalez to the back court with precise ceiling shots and Gonzalez countering with power drives when he worked himself into the front court. With the score tied at 14 in game one, Gonzalez won a 22-shot rally to take a one-game lead. Gonzalez stood just three points from the match at 12-11 in game two, but Morales executed three clutch kills to force a third game. “I’m giving him too many setups and making too many errors,” Gonzalez screamed at himself between the second and third games.” Morales took his game to another level in the third game, controlling the action and booking his spot in the semifinals.